The tour is a fun and easy adventure on a boat. A guide will meet you on board one of our smaller boats, which are docked at the floating pier in front of the Whale Watching Centre. The puffin watching tour commences at Elding ticket office by Ægisgarður pier in the Old Harbour in downtown Reykjavík. There you can buy tickets or exchange a voucher for a prepaid trip. The tour is a fun and easy adventure on a boat. A guide will meet you on board one of our smaller boats, which are docked at the floating pier in front of the Whale Watching Center which is located in Ægisgarður in the old harbor area in Reykjavik’s city center. Depending on the tides and conditions on the islands our captains will take you to either Akurey or Lundey. 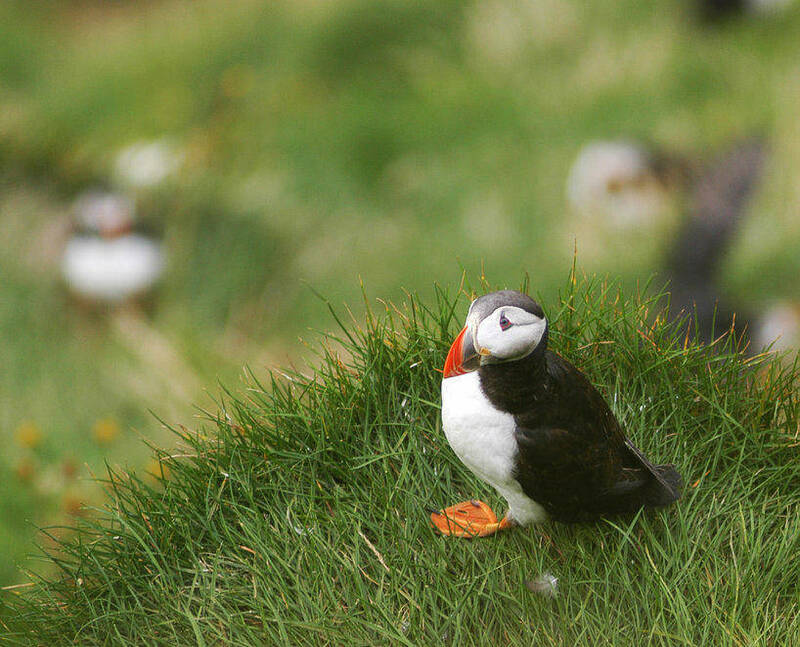 These islands are well known for their plentiful bird life and in addition to puffins, you have the opportunity to view other birds such as eider ducks, arctic terns, guillemots, and cormorants. Akurey and Lundey shores are rocky but our captains know the best spots to get closer to the puffins in their natural habitat. When the weather is right we might even turn off the engines so that you can enjoy the nature better and listen to the bird’s calls. 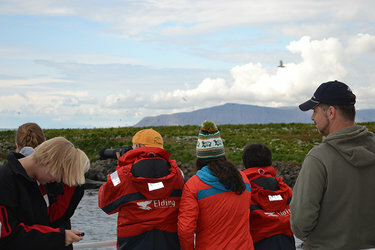 During the tour, the crew will tell you interesting facts and tales about the puffins and the surroundings. A fascinating boat trip that takes you up close and personal! 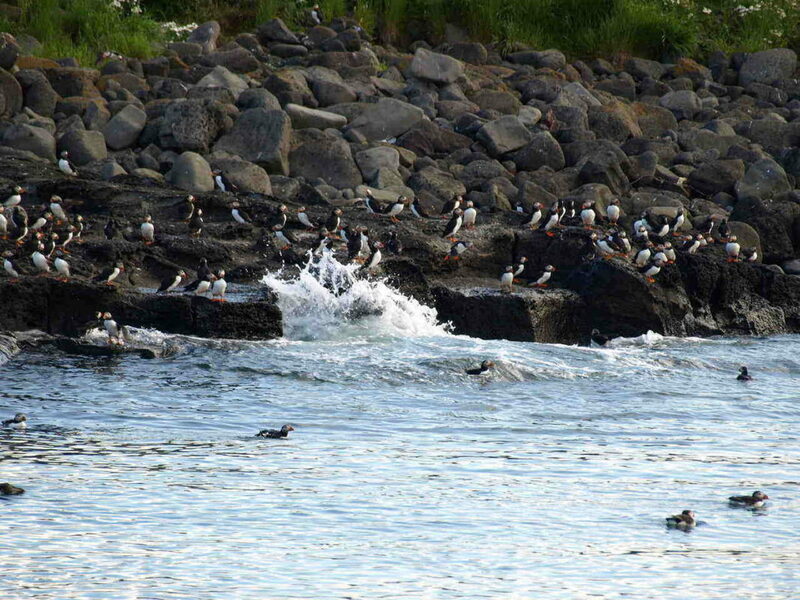 Note that as Puffins are wild animals we cannot control their behavior or how many we will see. We abide by a Code of Conduct in order not to disrupt the nesting and/or resting birds. It’s good to check the tides before the tour as we can get closer to the islands on high tides. Hot tip: Dress warmly and don’t be shy to also put on our warm overalls! 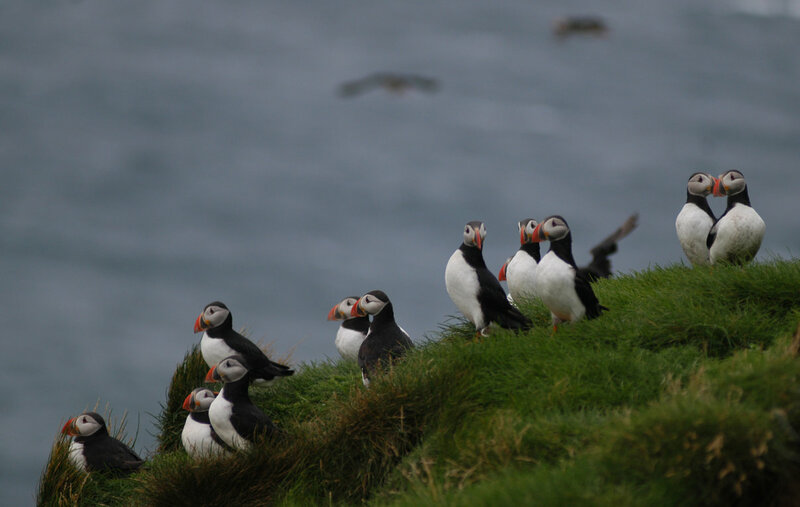 Our Puffin watching tours focus on the islands Akurey and Lundey that are known for their plentiful birdlife. Depending on the tides and conditions on the islands the captain decides each morning which island to sail towards. 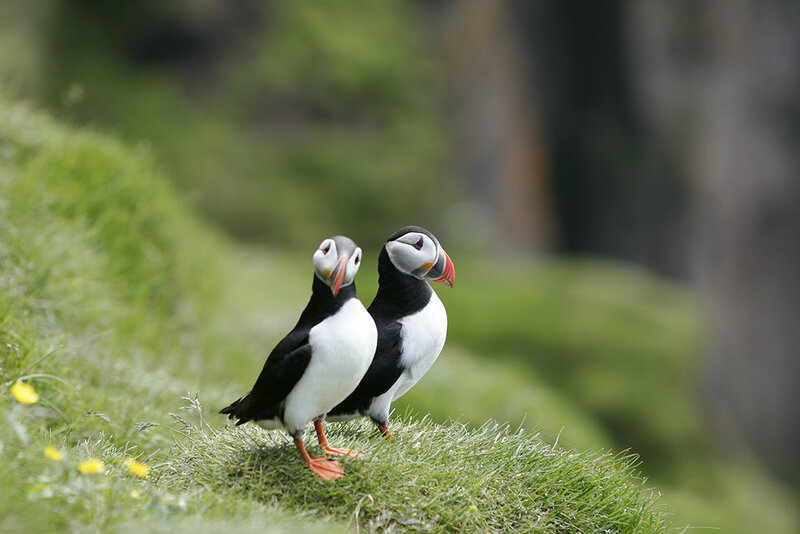 The islands’ shores are rocky but our captains know the best spots to get close to the puffins in their natural habitat.